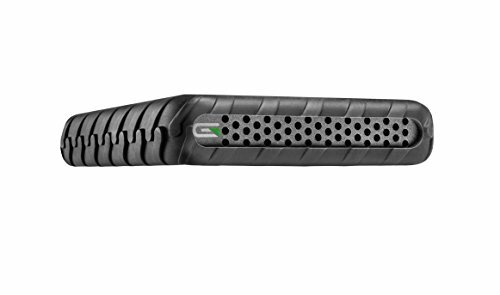 Rugged Storage On The Go Blackbox Plus features the latest USB-C technology, optimized passive cooling, integrated health monitoring, and its tough outer shell is built to take a beating. Rugged professional storage designed to go everywhere you do. Small enough to fit in your pocket, yet powerful enough to take its rightful place in your workflow. Time Machine Compatible Glyph Blackbox Plus comes preformatted HFS+ with Journaling and is Time Machine compatible out of the box. A simple reformat is all it takes for the Blackbox Plus to work with Windows systems. Quality Components Matter Blackbox Plus has been designed from the ground up to provide the fastest performance, ultimate reliability, and a simple, elegant experience throughout your creative process. First we select the highest quality components available. Then we assemble the drives in our US factory, and perform regimented testing on every unit before it ships to you. Rugged, Mobile Hard Drive Designed For Creative Professionals Featuring the latest USB-C technology! Optimized passive cooling, integrated health monitoring, and its tough outer shell is built to take a beating. All Aluminum Chassis, Tough Rugged Rubber Bumper, Fanless Heat Dissipation. Interface: USB-C (3.1), Compatible with USB 3.0/2.0 & Compatible with Thunderbolt 3!